At a meeting dominated by bickering about how to fight climate change, Quebec’s premier has played a role he is unaccustomed to: environmental steward. At a meeting dominated by disputes over how to fight climate change, Quebec's premier has played a role he is unaccustomed to: environmental steward. On the provincial scene, François Legault's Coalition Avenir Québec party is often criticized for its environmental policies, or rather, the lack thereof. In the election campaign that carried it to power, Legault promised to build more roads and bigger highways for suburban commuters but was lukewarm to a proposed new Metro line for Montreal, much to the dismay of environmentalists. Since taking power, sightings of his environment minister, MarieChantal Chassé, have been few and far between. Nor has the Legault government expressed much urgency about meeting the province's emissions targets. 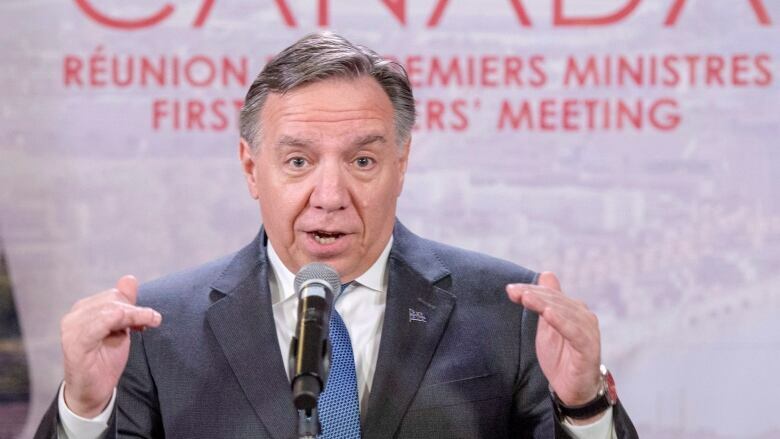 But when the country's first ministers got together Friday in Montreal, Legault was treated as an important ally of the federal government carbon-pricing initiative. With four provinces (Saskatchewan, Manitoba, Ontario and New Brunswick) dead-set against its intention to impose a carbon tax on them next year —​ and two of them (Saskatchewan and Ontario) taking it court —​ Ottawa could use a friend on the issue. And Legault is just green enough for Prime Minister Justin Trudeau. Legault's popularity —​ or value, if you prefer a more cynical view of their relationship —​ is based on two assets. Neither of them are Legault's doing, but he seems intent to play his cards wisely. For one, Legault inherits the commitment of previous Quebec governments to a cap-and-trade approach to pricing pollution, in place since 2013. Quebec is member with California, and formerly with Ontario, of the Western Climate Initiative's (WCI) carbon market, which allows companies to buy and trade emission allowances. The system generates a steep enough price for carbon that Quebec will be spared the federal government's carbon tax. It also brings in added revenue to the province. Quebec injected $215 million to its coffers when it auctioned off a round of credits in August. That money is deposited directly in its Green Fund, which subsidizes projects that lower greenhouse gas emissions. It was no secret that the anti-carbon tax premiers intended on making life difficult for Trudeau at Friday's meeting. So before it began, he nudged them toward Quebec's example. "In Quebec the cap-and-trade system has proven to be a successful market-based approach to reducing pollution," Trudeau said in his opening remarks to the premiers. "I look forward to working closely with Premier Legault over the coming years to meet our emissions targets and climate change." 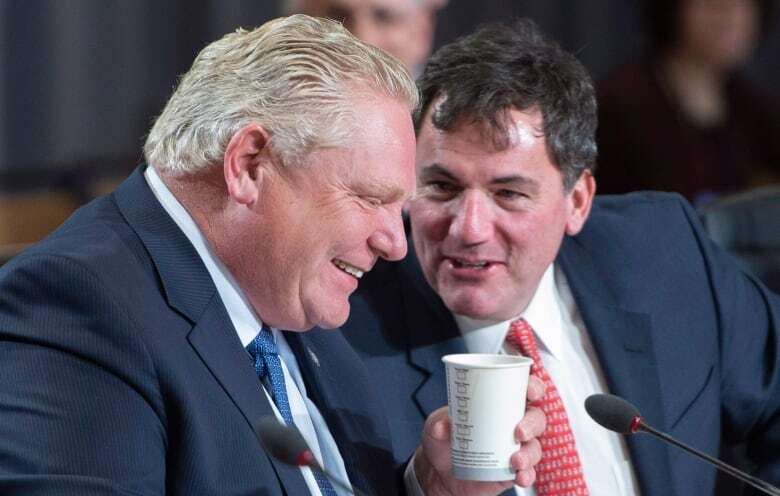 Legault may not be the one responsible for implementing cap-and-trade in Quebec, but in sharp contrast his Ontario counterpart, Doug Ford, he is committed to keeping the province in the market. "There are some people who are more pro-environment, others less so," Legault said Friday. "Sometimes I don't agree with Mr. Trudeau, but when it comes to the environment, we pretty much agree." The other green thing Legault has going for him is Quebec's current surplus of electricity. Again, Legault had nothing to do with a previous generation's decision to invest in hydro electricity dams, a low-carbon energy supply responsible for the province being the greenest in the country in terms of emissions per capita. But Legault has talked incessantly about increasing the province's exports of its so-called "blue gold." This comes at a fortuitous moment. With Western Canada contending with plummeting oil prices, the premiers were keen to talk about energy solutions for the country. One proposal circulated at the table was investing in a hydroelectric corridor, that would allow provinces to trade their electricity surpluses more easily with each other. This was music to Legault's ears. Not only could he sell electricity to his neighbours, he could be seen as an climate warrior for doing so. 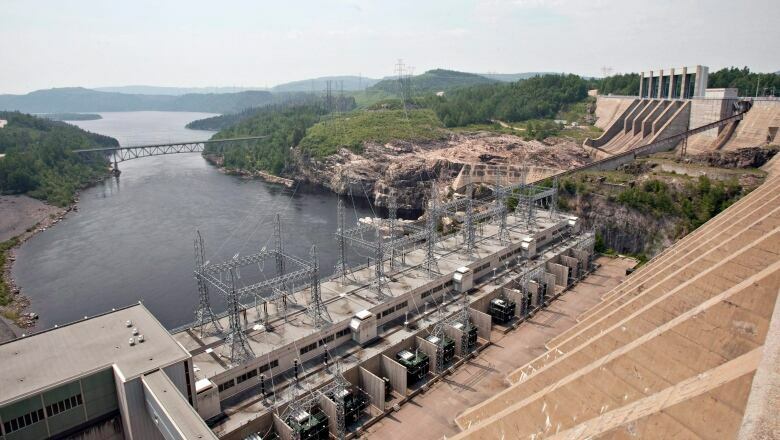 "Hydro electricity could allow other provinces to replace other forms of energy and reduce their GHG emissions," Legault said after the meeting wrapped up. "We're offering them energy that is not expensive and is clean." The actual environmental benefits of hydro power are, perhaps, more contentious than Legault lets on. Efforts to build Hydro-Québec lines reaching far into the United States are often opposed by environment groups who worry about disruptions to wildlife. And hydro dams — Legault wants more of them —​ come with their own wildlife and social problems, as they necessitate flooding huge tracts of land. But within the current rush to cut emissions, hydro has the benefit of not being a fossil fuel, and thus relatively carbon neutral. Legault is keenly aware that gives his province an advantage over Western premiers as they desperately push to get more pipelines built. He put a quick end, earlier this week, to talk about reviving the Energy East project, a position unlikely to endear him in Alberta or Saskatchewan. "I'm not ashamed at all of refusing dirty energy while we're offering clean energy at a very competitive price," he said. 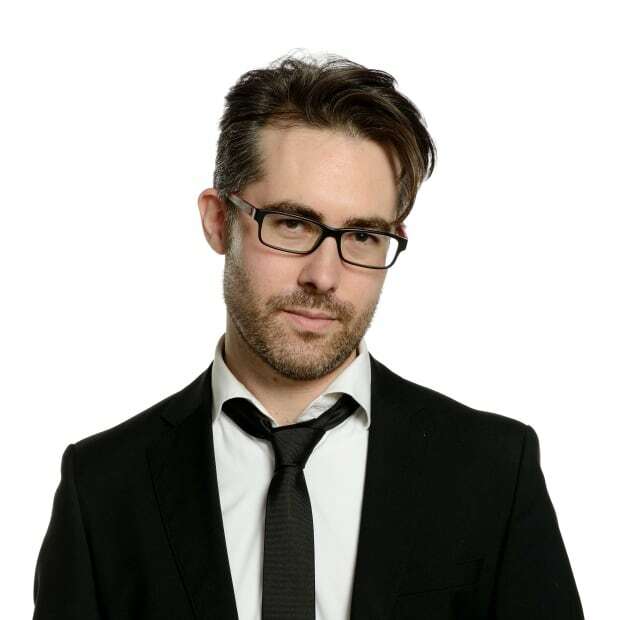 Jonathan Montpetit is a journalist with CBC Montreal. He covers politics and social affairs.